Matching Funds to help you TRIPLE your charitable gifts for 2018! Thanks to a new matching opportunity from Lilly Endowment Inc.,the Community Foundation of Southern Indiana is now offering a match for all qualifying contributions made to endowment funds between now and December 31,2020, or as soon as the allocated matching funds are exhausted. You won’t get an opportunity better than this!  TRIPLE your donation when you contribute to the Community Foundation’s unrestricted Community Impact Fund. Lilly Endowment will match your gift, $2 for every $1you contribute! This is the easiest and most flexible way to provide for the most pressing needs in our community, forever. Last year we made more than 59grants worth over $316,000 to Southern Indiana nonprofits from the Community Impact Fund – helping address the needs of more than 72,000 people in our community. Your gift to this endowment will help us do even more, every year,for generations. If you’re interested in adding to your existing endowment fund, or creating a new endowment fund for your specific charitable interests, Lilly Endowment will match your gift $1 for every $2 you contribute! This is a great way to increase the impact you have on our community while building your own fund with matching dollars. We will automatically match any qualifying gift you make to an endowment fund between now and December 31, 2020 (or until the balance of the matching funds is allocated, if sooner). If you have additional questions about how you can take advantage of the match, start an endowment fund, or support the Community Impact Fund, please contact Linda Speed or Kenton Wooden at 812-948-4662. It’s had to believe but time is running out on 2018! CFSI is here to be your partner, resource and steward in philanthropy. To help you make the most of your giving before year-end, and have the greatest impact in our community, we’ve provided some tips below you’ll want to keep in mind as you think about your 2018 charitable goals and how to make those happen. If you are planning to make an end of year contribution to the Community Foundation or one of your favorite local nonprofits, all contributions must be made or postmarked by December 31st. This easy to do on our secure website and if you’re making a gift to an endowment, we’ll be able to match that gift (see above for details)! If you’ll feel more comfortable, you can always deliver your contribution to the Foundation offices during normal office hours. And we will be open on December 31st, but we ask you to deliver your donations by noon so we have time to process those. CFSI also accepts a range of other assets including stocks and qualified charitable distributions from your IRA if you’re 70 and 1/2. If you’re interested in giving using one of these methods, please contact Linda Speed or Kenton Wooden at (812) 948-4662. If you’re a fundholder at the Community Foundation and want to use your charitable fund for good this season, all grant recommendations need to be in to our offices by December 17 to ensure your grant arrives to your favorite nonprofit by December 31st. You can fill out your grant recommendations online using this form. If you have any questions, please let us know by calling (812) 948-4662!